Dr. Jon B. Gilliland, lecturer in music education, has more than 40 years in education having served as a music educator in Illinois and Indiana and as the Fine Arts administrator with the Appleton and Fond du Lac, Wisconsin school districts. Dr. Gilliland has presented sessions at state and national music conferences, and (most recently) at the International Music Education Association conference in Glasgow, Scotland and has published articles regarding music education in state and national professional journals. He is President Elect of the Wisconsin School Music Association Board of Directors and Past President of the Wisconsin Music Educators Association and the Wisconsin Association of Music Curriculum Directors. 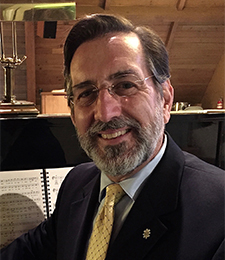 He has served the National Association for Music Education in several capacities, on the boards of the Wisconsin Alliance for Arts Education, the Fond du Lac Symphonic Band, the Fox Valley Symphony, and is currently President of the Board of Directors of the South Shore Chorale. He records with the Illinois State University Alumni Band, has performed with the Clan Donald Pipes and Drums, the Fond du Lac Symphonic Band, the South Shore Chorale, and “Vocal Tapestry,” and is the Senior Choir Director at Salem United Methodist Church in Fond du Lac.